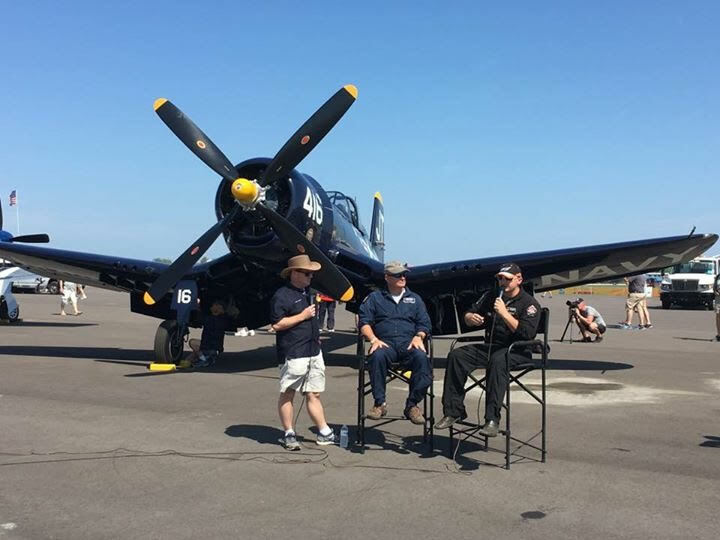 The Class of ’45 was featured at SUN ‘n FUN not only in their debut flights at the event, but on the ground as well. 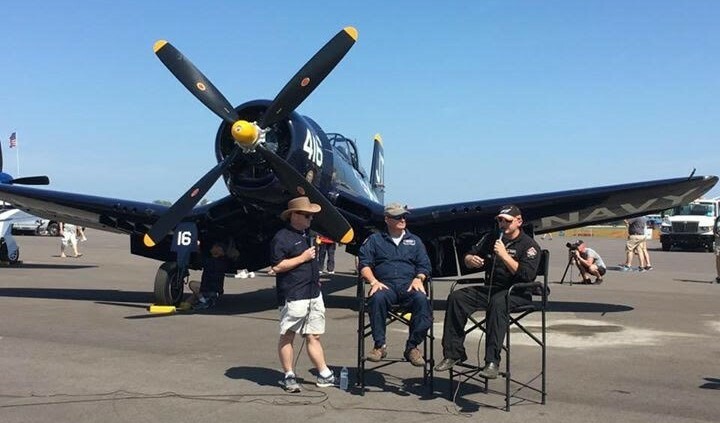 It was the inaugural year of Victory’s Arsenal Theater, a venue created on SUN ‘n FUN’s Warbird Ramp to showcase the people and aircraft that have shaped history and made the United States military the most respected in the world. 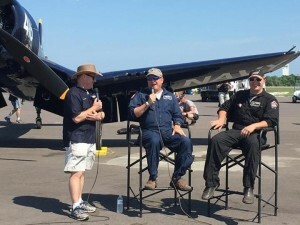 Warbird Radio host Matt Jolley interviewed Jim and Scooter in front of Korean War Hero and Quick Silver as a large crowd looked on from special bleachers set out for the event. 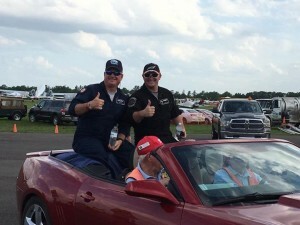 The guys did a great job, and were on hand afterwards to answer questions before getting ready to fly their demo for the day. Great time, and we are sure looking forward to going back!